Marketplaces and prices shown matched UPC number 038675141551 during our search. 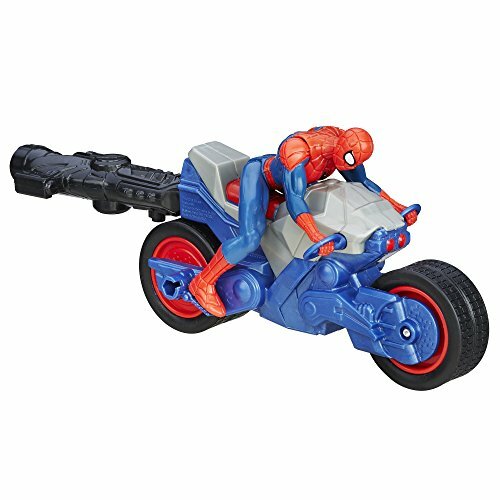 Head out to fight crime just like Spidey himself with the Spiderman Motorcycle 6V Battery-Powered Ride-On Toy from Kid Trax. 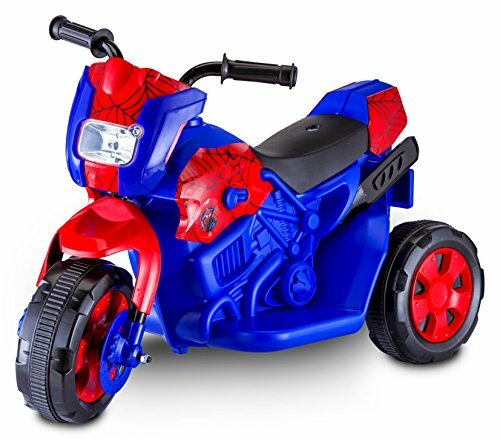 Capable of a forward speed of 1.5 MPH and equipped with a front LED light and foot pedal acceleration, this one-person ride-on toy is full of spiderman fun for your child. Features such as Kid Trax Power Trax rubber traction strip tires for all-terrain performance make this toy adventurous, yet safe. A 6V rechargeable battery with Kid Trax direct connect one-step charging system guarantees that fun is never more than an outlet away. This ride-on toy ships ready to be assembled, has a 44-pound maximum weight capacity, is recommended for ages 18 to 30 months, and has a 1 year limited warranty, with a 6 month limited warranty on the battery. Kid Trax has been producing award-winning battery-powered ride-on toys for more than 15 years. Their attention to detail, design, and play features have made Kid Trax a top-selling riding-toy brand around the world. 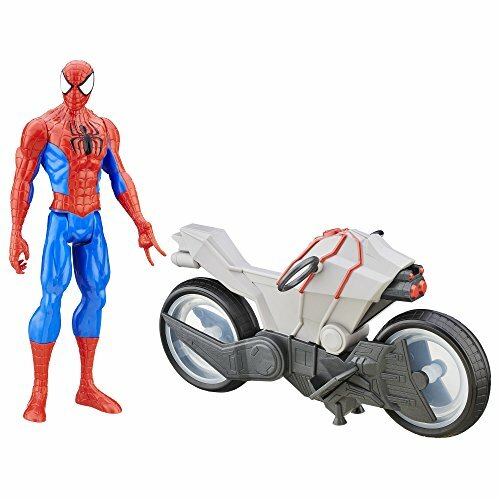 Head out to fight crime just like Spidey himself with the Spiderman Motorcycle 6V Battery-Powered Ride-On Toy from Kid Trax. Capable of a forward speed of 1.5 MPH and equipped with a front LED light and foot-pedal acceleration, this one-person ride-on toy is full of police-themed fun for your child. 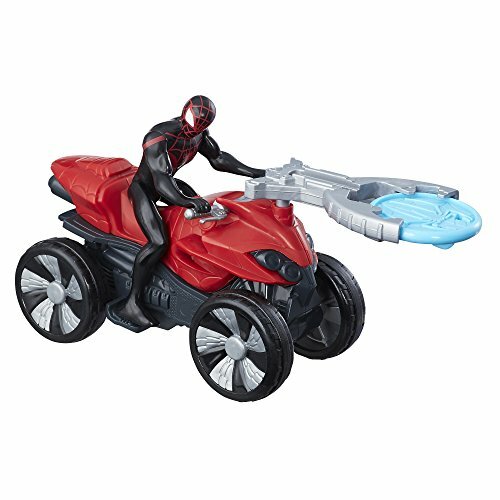 Features such as Kid Trax Power Trax rubber traction strip tires for all-terrain performance make this toy adventurous, yet safe. A 6V rechargeable battery with Kid Trax direct connect one-step charging system guarantees that fun is never more than an outlet away. This ride-on toy ships ready to be assembled, has a 44-pound maximum weight capacity, and is recommended for ages 18 to 30 months.